Mid-century picture book featuring adorable young animals and their sweet adventures. The adventures of Pepper, Snowdrift, Cottonball, Mitzie and all the other adorable kittens and puppies is conveyed in this mid-century picture book, delightfully illustrated by Bertha Boyd. The young animals find themselves in various scrapes, such as exploits with mom's sewing basket, unwanted baths and trying on some fashionable hats. 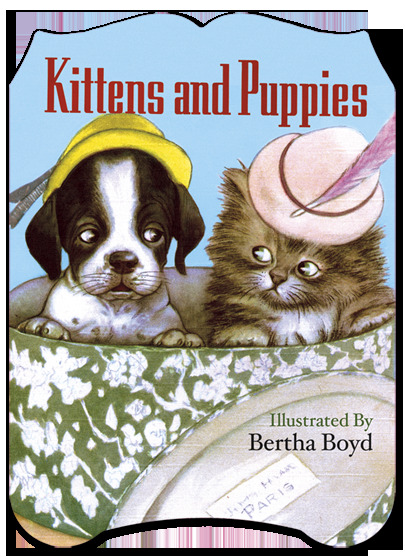 Puppies and Kittens is suitable for young readers, and will delight anyone with an interest in vintage book illustration.